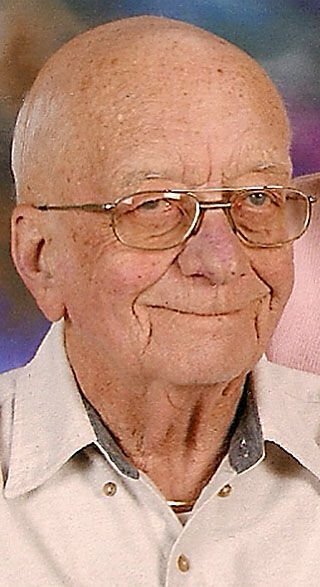 William R. “Roger” Wittkopf, 85, of Eau Claire went home to God on Wednesday, March 6, 2019. William was born to Catherine P (Lawler) and William E. Wittkopf on February 4, 1934. He attended Eau Claire schools and graduated from EC Senior High in 1952. William enlisted in the U.S. Army during the Korean War era. On April 4, 1964 he married the love of his life, Ann (Wraalstad) Holum, they were married for 54 years. William was a lovable husband and father. He loved bowling on several leagues and spending time at the lake. William is survived by his children: L. Richard (Joan) Holum, Deb (Steve) Gladwell both of Eau Claire and Patricia Johnson of Beloit; grandchildren: Joel (Shannon), Tony, Danica (Brent), Laura (Ross), Stephan, and Jason; great-grandchildren: Sebastian, Baylie, Braden, Elliott, Alex, Annika, and Sawyer; brother-in-law Duane (Pat) Wraalstad; as well as several nieces and nephews. Special thanks to Mayo Clinic Hospice for their care. William was preceded in death by his wife Ann and his parents. Arrangements are pending. Family and friends may leave online condolences at www.smithfuneralec.com.